Bloomingdale’s flagship store in New York City is honoring Mother’s Day with something a little different this year. 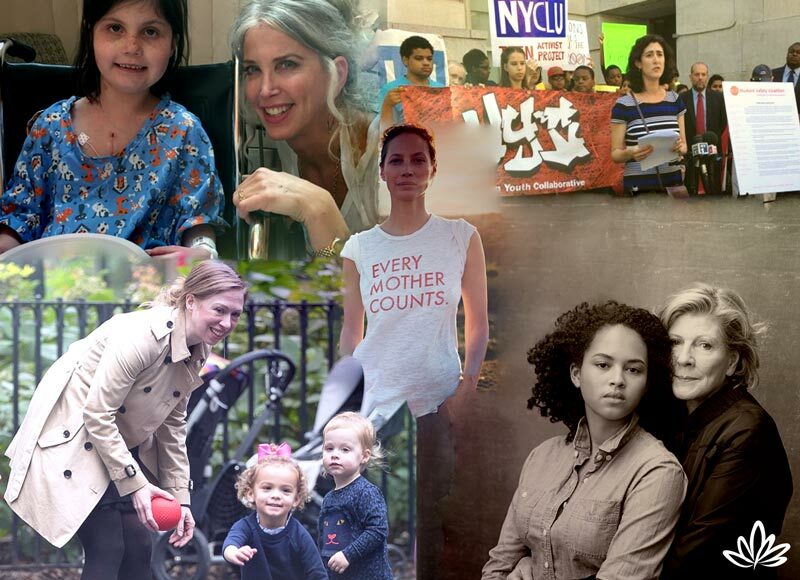 Instead of the usual spring fashions, their windows will showcase the good works of five New York moms in “Magnanimous Moms, Moms Who Make a Difference and Moms with a Heart.” Consumerism, move over – it’s time for what the world needs right now: the loving activism that mothering is all about. Honoring activist mothers turns out to be in perfect keeping with the energy that started Mother’s Day to begin with. Contrary to what you might be thinking, Mother’s Day in the U.S. was not founded by the florists, the candy shops, or the greeting card companies. The holiday was first celebrated in 1908 when Anna Jarvis held a memorial for her mother at St Andrew’s Methodist Church in Grafton, West Virginia. Anna’s mother, Ann Reeves Jarvis, had been a peace activist who cared for wounded soldiers on both sides of the American Civil War and created Mother’s Day Work Clubs to address public health issues. Anna’s campaign to create an official Mother’s Day succeeded in 1914 when Woodrow Wilson proclaimed the second Sunday in May a national holiday to honor mothers. Giving cards, candy, and flowers on Mother’s Day is sweet, but look deeper into the activist heart of the holiday. What do today’s mothers really want? They want the same thing that mothers throughout time have always wanted—a better world for their children. Each of the activist moms being honored in the Bloomingdale’s window found a cause that mattered to her and took action. Each of them leads a philanthropic organization that they created to make things better. Bloomingdale’s didn’t have to look far to find these caring mothers: Agnes Gund founded Studio in a School in 1977, in response to city and state budget cuts that were threatening art education programs in public schools in New York. Gund is a legendary arts patron known for supporting a variety of social justice causes. Chelsea Clinton’s Too Small to Fail promotes the importance of early brain and language development and empowers parents with tools to talk, read and sing with their young children from birth. Christy Turlington Burns founded the global maternal health organization, Every Mother Counts, dedicated to making pregnancy and childbirth safe for every mother. Kim Sweet is Executive Director of Advocates for Children of New York, whose mission is to ensure high-quality education for New York students from low-income backgrounds. Elizabeth Bryan-Jacobs is an upstate New York artist who pioneered her “Spread Your Wings” art-making program at Dell Children’s Hospital in Austin, Texas, where it broke all fundraising records and “brought out the angel in everyone.” Think children in wheelchairs painting brightly colored feathers for an enormous pair of wings! The possibilities for celebrating Mother’s Day with social activism are truly boundless. One thing about today’s world—there is no scarcity of vital, life-saving work to be done. Whether the realm is health, education, justice, government, environment, animal welfare, the arts and whether the venue is local, national, or global, finding a cause that speaks to your heart is easy. Making a better world is an equal opportunity job with room for everyone. In addition to the local public schools, day care centers, health clinics, libraries, and senior centers that could probably use your in-person assistance, there are national and international organizations ready to welcome your support. Heifer International out of Little Rock, Arkansas, works to end poverty and hunger and build community with donations of farm animals (and bees) around the world. Habitat for Humanity (think President and Mrs. Jimmy Carter) works locally and internationally to build homes for low-income families. Doctors Without Borders provides humanitarian medical care wherever it is needed most. Amnesty International supports human rights efforts. The Sierra Club works to preserve the environment and the World Wildlife Fund? Their name says it all. Taking loving action in the world seems like the perfect way to warm a mother’s heart and honor the day that is dedicated to mothers everywhere. Everything in this world is connected to and dependent upon everything else. To honor our connectedness is to honor life itself and the Creator of all. Whatever actions you take to provide loving service in the world will send forth pulses of healing energy. When you choose a way to serve that matches your passionate interests, it brings joy to you and to Mom and to all the moms who pray for the health, safety, freedom, and happiness of their children. Think about Ann Reeves Jarvis, Civil War nurse, who did not discriminate between North and South in her healing mission. There couldn’t be a better symbol of the stuff that needs healing today than the American Civil War. Thank you, Ann Jarvis, and daughter Anna, for the loving spirit that inspired Mother’s Day. It’s just what the world needs now. If you’re interested in promoting feminine values like those you read about in this blog, you’ll love my course, Living Out Loud: Activate your sacred feminine energy and connect to your soul’s wisdom, so you can live a life of beautiful radiance.